Empire of Books: Cover art for The Book of Doom by Barry Hutchison! 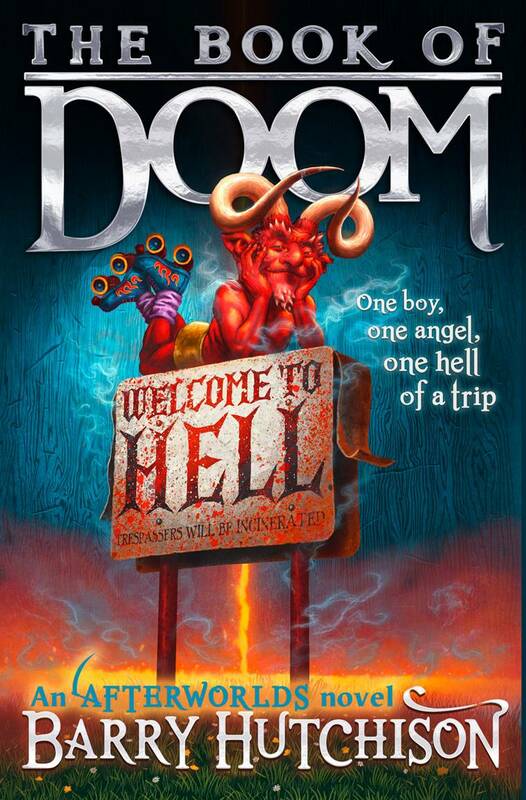 Cover art for The Book of Doom by Barry Hutchison! Well now I have some motivation. Because the cover art for the next book in the sequence has been released. The Book of Doom is the second book in the Afterworlds sequence, and I love the way they're kind of going for a Terry Pratchett Discworld-esque approach in making a saga-like series that can be read alone or in order. And I absolutely love the cover. First time I saw it I sniggered like mad! No doubt there'll be some PC-mad folk out there that will dislike it, and maybe even be a little offended but I love it and cannot wait to have it on my bookshelf! Check it out! Haha! Utter brilliance from the Harper Collins design team! It's out next February! Cover art for second PARTIALS book released!